Today, the U.S. House of Representatives passed S. 3119, the Endangered Salmon Predation Prevention Act. This bipartisan bill provides states and tribes with the necessary tools to humanely manage sea lions that have migrated outside their historic range and pose an imminent threat to fish species listed under the Endangered Species Act. 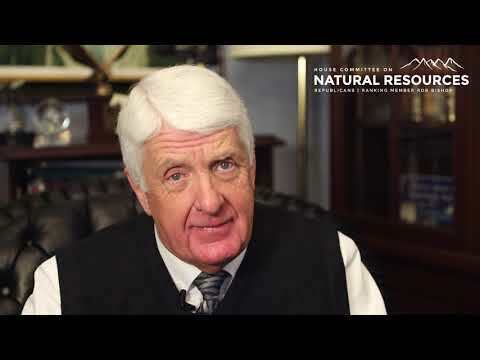 Today, House Natural Resources Committee Chairman Rob Bishop (R-Utah) issued the following statement on the Environmental Protection Agency’s (EPA) proposal to redefine the “Waters of the United States” (WOTUS) rule. 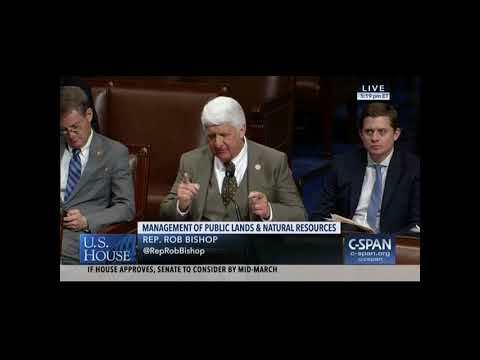 House Natural Resources Committee Chairman Rob Bishop (R-Utah) issued the following statement today after the House passed S. 245, which benefits Indian tribes developing energy resources and forest management procedures. The bill would amend certain provisions of the Energy Policy Act of 2005, primarily impacting the process by which a tribe may obtain Tribal Energy Resource Agreements (TERA). Additional provisions in the bill would provide tribal energy activities and projects with greater access to Department of Energy technical and scientific resources, establish a biomass demonstration project, and streamline the energy appraisal and permitting processes. The provisions contained in the bill are intended to help tribes exercise greater self-determination in the production of energy on their lands. S. 245 would also remove other federal disincentives to developing tribal trust energy resources and assist Indian tribes interested in pursuing the development of these resources consistent with the federal policy of promoting Indian self-determination. DOI’s announcement estimates that 71 billion barrels of oil currently reside in the Permian Basin. According to DOI, only 95 billion barrels are currently estimated onshore; thus, this reservoir in the Permian Basin would nearly double U.S. oil reserves. 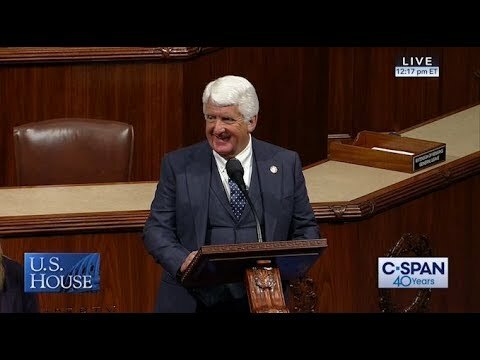 Today, House Natural Resources Committee Chairman Rob Bishop (R-Utah), Resident Commissioner Jenniffer González-Colón (R-Puerto Rico), U.S. Rep. Doug LaMalfa (R-Calif.) and U.S. Rep. Don Young (R-Alaska) sent a letter to Puerto Rican Governor Ricardo Rossello Nevares, Puerto Rican Senate President Thomas Rivera Schatz, and Puerto Rican House Speaker Carlos Mendez Nunez, regarding the next steps in resolving Puerto Rico’s political status. Committee representatives also sent a letter to Acting Attorney General Matthew Whitaker, asking the Department of Justice (DOJ) to assist the government of Puerto Rico in certifying a plebiscite that will allow for the resolution of Puerto Rico’s status. Within minutes of the deadly Camp Fire's ignition, several acres were ablaze as fire spotters stood by helplessly. While Capt. Matt McKenzie of the California Department of Forestry and Fire Protection responded quickly, firetrucks were unable to reach the blaze and helicopters and air tankers were grounded due to the timing and weather, according to a report. Within two hours, the fire tore through the towns of Concow and Paradise before it raged on, claiming thousands of structures and dozens of lives. Forests are filled with fuel from the floor, where highly combustible, dry pine needles act as kindling to jump-start the tiniest spot fire, all the way up to the crown where beetle-killed and parched trees dot the landscape. In between the floor and the crown, there are years' worth of logs, overgrown shrubs, and standing dead trees. This fuel accumulation can turn naturally occurring ground fires into deadly crown fires that quickly spread out of control. To make matters worse, large swaths of our most fire-prone forests are inaccessible via firetruck, as was documented in the Camp Fire. This is just one of many obstacles that make it extremely difficult to stamp out fires before they reach a catastrophic size or intensity. President Trump already approved a major disaster declaration for California, which makes emergency funding and other resources available. Secretary of Agriculture Sonny Perdue and I have sent hundreds of firefighters and other assets to the state, and we secured a fix to the way firefighting is funded earlier this year. While communities get assistance and firefighters continue to battle the fire, there's more legislation in Congress that can be passed to help prevent these disasters in the future. There are three benefits to active management. First, it is better for the environment to manage the forests. As San Franciscans who live more than 160 miles away from the Camp Fire know, the resulting smoke and emissions negatively affect air quality. Catastrophic fires also damage watersheds, scorch and sterilize land, and increase the likelihood of floods and mudslides in the rainy season after fires. Second, active management is also good for the economy. Logs typically come out of the forest in one of two ways: they are either harvested as timber to sustainably improve the health and resiliency of the forest (while creating jobs), or they are burned to the ground. Jobs matter, and the timber industry has long been a cornerstone of rural economies. Fortunately, these economic benefits go hand in hand with our goal of healthy forests. Third, and most importantly, the active management of our forests can save lives. The Camp Fire has killed at least 83 people, and hundreds more are still missing. Every year we watch our forests burn, and every year there is a call for action. Yet, nothing gets done. Now Congress has the opportunity to pass good policy that saves forests and lives by including House-passed proposals for forest management in the Farm Bill. H.R. 2615 (U.S. Rep. Steven Palazzo, R-Miss. ), H.R. 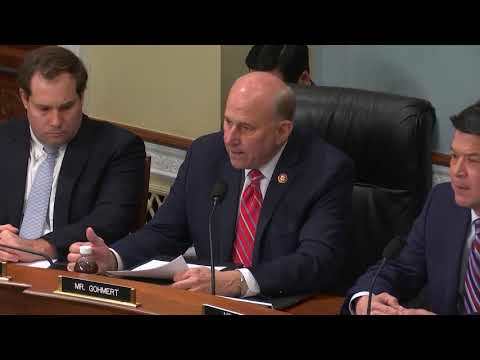 4033 (U.S. Rep. Doug Lamborn, R-Colo.), H.R. 5636 (U.S. Rep. French Hill, R-Ark. ), H.R. 5787 (U.S. Rep. Neal Dunn, R-Fla.), H.R. 6146 (U.S. Rep. Paul Gosar, R-Ariz.), H.R. 6666 (U.S. Rep. Daniel Donovan, R-N.Y.), S. 440 (U.S. Sen. John Hoeven, R-N.D.), S. 2074 (U.S. Sen John Hoeven, R-N.D.), H.R. 5706 (U.S. Rep. Colleen Hanabusa, D-Hawaii) and H.R. 6064 (U.S. Rep. Thomas Suozzi, D-N.Y.).